He talks of a ‘madness’ that has driven him for years to salvage the cultural history of this verdant land called Goa. Its versatile heritage has been curated by Victor Hugo Gomes with painstaking perseverance and attention to detail. With his degrees in art and conservation, Victor has moved from village to village documenting trades that have disappeared or are slowly vanishing and has been curating a vast storehouse of Goa’s past in various symbols of her culture. It all began with excursions into forbidden areas. Always a curious child with a questioning mind, Victor would explore attics, storerooms and even the dark rooms used to punish him for misbehaviour, to find strange and intriguing items of interest like different types of clay pots, baskets, tools, old altars and wooden chests filled with clothes belonging to a bygone era. This childhood fascination for gleaning commonplace items, which have shaped Goa’s cultural history, and a questioning mind, nurtured by his grandmother’s tales, set him on a path that many would decry as foolishness. Beginning with a graduate degree in Fine Arts, he moved to Lucknow to finish his Master’s course. He started learning about restoration and conservation of art through INTACH (Indian National Trust for Art and Cultural Heritage). When he finished his course Mario Miranda suggested Victor’s name as the curator of the Christian Art Museum which was to be set up in Rachol. When he arrived he found absolutely nothing had been done to establish the museum and he had to work from scratch, commencing from conceptualisation to materialisation of ideas. He would go visiting churches in Goa to find antique statues and artefacts that had been relegated to a status of insignificance. Victor deplores the lackadaisical attitude held by most Church authorities with respect to the conservation of the Church’s antiquities. He has discovered pieces of a crucifix used as a door stopper and a window stopper in the church at Benaulim. In Assolna, he found that the room housing old statues in the church had been so neglected that the priest in charge had no idea the roof had caved in. Here he found a statue of St Stanislaus Kostka. Fr Mendes of the Church of Regina Martyrum was glad to be rid of it because St. Stanislaus Kostka was a Jesuit saint. Eventually, problems began to mount and there were ego tussles and the refusal to recognize Victor’s authority. There were accusations of thievery against a member of the committee in charge of documenting Christian art, by a priest, due to the non-receipt of statues taken away for the purpose of restoration. These statues had been taken away before Victor had come on board and he saw it fit to investigate the matter. His questioning was not taken in the right spirit. Victor finally called it quits at the Museum of Christian Art and gave in his formal resignation in 1994. Thereafter, Victor began taking on odd jobs to sustain himself, even working as a waiter. He says, ‘Both my professions, that is, being an artist and a restorer, were useless at the time.’ In 2002, he began restoring old Goan houses and came across the varied treasures that they held. He realised people were attaching more importance to metal and plastic utilities rather than the age old implements that once was part of the everyday routine of the house. People seemed not to value these items that had been created through a well thought out process and held the wisdom of the ages within them. An example of this would be the use of yokes made of the banyan tree rather than teak wood though the latter was more durable. The wood from the banyan tree is light, does not heat up and is comfortable to the bullocks and hence would add to their productivity, unlike teak wood. Thus, Goa Chitra grew from the desire to salvage Goa’s heritage and preserve it for posterity. Victor says there is the first generation that creates with passion, the second that benefits from it, the third that destroys and the fourth that sets about restoring and attempting to undo the damage. He places himself as belonging to the fourth generation. The museum in its structuring is a testament to Victor’s ‘madness’. It has been constructed almost entirely from odds and ends picked up from houses that were being demolished, the storehouses of friends and relatives and old churches. This would include window panes, door panels, railings, tiles, etc. The new wing that contains his collection of various carts, carriages and palanquins has magnificent mosaics as flooring, made by Victor himself, using old tiles obtained from his friends. The biggest hurdles have always been apathy on the part of the Government and the people on the whole and consequently the dearth of funds to develop the museum. He wistfully recalls how his own treasures, stored at his grandmother’s house were burned by his family as they could not understand his fascination for old objects. His passion for his mission can be weighed by the fact that he has sold almost all of his fleet of cars to pay for the museum pieces. Very wisely, he has also has made provision for his own sustenance by growing his own paddy, breeding fish, generating his own gas and electricity. The government has all the funds to spend on film festivals and encourage Bollywood mania but not enough to extend towards preserving Goan culture. Victor says, ‘Goa is the worst in documenting when compared to the 63 museums that were documented by the British Council. There is absolutely no sensitivity towards museum documentation.’ Other museums in Goa are in the care of individuals who are not really in the best position to curate them or see that the restorative processes are carried out in a manner that is area specific, because climate and environment play a vital role in the type of conservation techniques applied. Awakening a sense of pride in their heritage among Goans is a trial in itself. Young people are ashamed to admit that they come from the agrarian community and attempt to distance themselves from it as much as possible. Aside from this, modern life has conjured up an illusionary aura of the progressive western world. This has led to people eagerly moving away from their Goan roots. ‘Education has uprooted us,’ says Victor. Education has failed the people as it has given them degrees, but that desire to learn, gain a comprehensive understanding and go beyond one’s comfort zone is sadly missing. Victor is grateful to his grandmother who cared for him as a child. She would regale him with stories and descriptions of events, place and things, although her sight had been taken from her at the age of 17. He marvels at her ability to do so without a formal education. Not only did she aid in developing his natural curiosity, she also instilled in him the appreciation of the oral tradition. Even now, he is firm about his researchers avoiding pure textual knowledge. The focus is primarily on experiencing culture first hand which he has done by living with the people whose lifestyle he has been documenting. He has introduced this idea of participating in traditional activities in Goa Chitra where visitors will be welcome to try their hand out at processing feni and other activities. Victor emphasises the fallacy of blindly accepting written accounts in that the Government records show that Socorro has a substantial number of traditional potters in the potters’ community here but his own research points to only seven potters across Goa doing traditional, utility pottery in Goa. 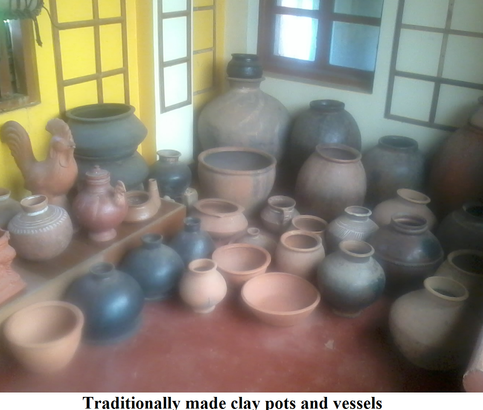 Goa Chitra houses traditionally used agricultural implements like ploughs, mud pots, lamps, irons, cooking vessels, sieves, jewellery moulds, religious statues, musical instruments and a vast number of other interesting items no longer in daily use. Instruments used by barbers, potters, goldsmiths, weavers, tailors, masons, etc., in the days gone by are also on display. An entire wing has been dedicated to the wheel and called Goa Chakra Museum. Victor says, ‘It is my tribute to the wheel. It is the wheel that tells the story of India, the pilgrimages, trades, etc. It is also the emblem on the national flag.’ While the Royal Chariot Museum in Lisbon has only royal carriages, Goa Chitra has gypsy carts and normal carts used by different tradesfolk. He has also compiled a glossary of diverse Konkani words, some no longer in use. Very soon there will be additions to the museum detailing Goa’s medical history, costumes and jewellery. Victor has big plans for Goa Chitra and there is no doubt they will see fruition in the future but the indolence of the Goans and the Government is a disheartening thorn in the side. It can only be removed through extensive campaigning and media coverage. So far most of his volunteers have been non-Goans. Victor’s big dream is to get Goans actively involved in salvaging their heritage. In time, it is hoped his infectious enthusiasm will filter down to the younger lot and inspire a generation of youth to become custodians of their rich Goan culture. 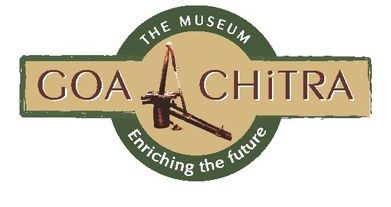 (Goa Chitra is currently celebrating its fifth anniversary with a series of stimulating programmes. Contact details are Goa – Chitra, St John the Baptist church road, Mondo-Waddo, Benaulim, Salcete Goa - 403716 India. Phone number: + 91 0832 6570877/ Mobile: +91 9850466165.